The Phillies pulled a rabbit out of the hat last night. I just got finished talking with a friend who was at the game last night vs. the NY Mets, and he said that place was electric! I was watching the game from home, and it almost looked like a playoff game to me. The Phils played this one brilliantly and as much as I didn't like their play against the Padres, this game made a lot of people want to believe that there is hope for the post season. The Fightins go for more tonight and then again on Thursday afternoon. So let's go Phillies! Nothing more I like then a Sunday rout at home by the Phillies! I went up to the ballpark today a bit afraid that I may see the fightin's get swept. I treated a friend of mine to the game, he has never been to a Phillies game, and he went home almost a big Phillies fan after this great win today 14-2 at Citizen's Bank Park. Time to order the playoff tickets? I still don't know the answer to that one. The Phillies play so great for a while, then they play like they couldn't beat the high school team in Philly let alone any major league team. Hopefully this kind of play continues for the Phils, it was a joy to see today. The Mets come in for 4 next and this could make or break the Phils for the season. They must string together a group of wins now or it will be a long off season for the players, the fans, and J Roll who assured us earlier that they were the team to beat this year. The Phillies road trip out west could have been much worse. The Dodgers were a tough opponent and the Phils almost took the series from them. 'All most' doesn't count of course and the NY Mets took three of four with their series in Dodgerland over the past few days. The Phillies played really well against San Diego, and the Padres are hot on the heels of the LA Dodgers and have been getting the job done out there in the NL West. 500 is a number that the Phillies just can't get away from. They win two, then you think they have something going and they string together a losing streak to match. They have three games against the Nationals at home coming up starting Tuesday. Kendrick, Hamels, and Eaton will throw the series for the Phillies. You would figure the Phillies should sweep the series from the Nats but that is where you can't rely on the Phillies to continue to play well enough to win. Something is lacking and I think it may be from the dugout. This team can play well, they have showed that, maybe what they need is a different manager to spark them on. We were honored by being in attendance for the 10,000th loss! It occurred to me after Friday night’s game that I had a chance to be present at what didn’t seem to be that big of an achievement. I have a Sunday plan that gives us an opportunity to get out to the ballpark at least 14 games a year with the Sunday game package. Saturday night’s big win over the Cardinals was my signal that we could indeed be in attendance for the game that everyone has been talking about this first half of the year of Phillies baseball. It could have been a sweep of the Cards or it would go into the record book as the big loss that the stats people have been keeping since 1883. The Phillies looked really deflated after their two monster wins of the Cards. I knew after the third inning that this was going to be the night. Adam Eaton would find his name etched in Philly history if he made it far enough into the game before he would be pulled out. He didn’t disappoint, I am not really a big fan of pace of which Eaton pitches. 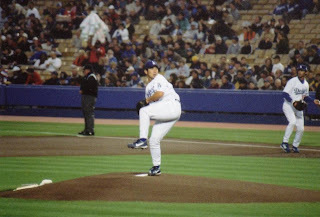 He takes forever to pitch on the mound, and between pitches he wonders off the mound and generally doesn’t have a good command of the proper cadence of a game. I knew this before this game, but seeing him pitch this game solidified my opinion of this. The fielders get itchy out there standing around for so long, and it just seems like he goes off onto his own slow pace which hasn’t been all that successful this season, despite he has 8 wins. A lot of those games has just been the offense going out and outscoring the 5.69 runs a game that Eaton has been giving up. I got home after the game and reviewed the ESPN game coverage of the game that was the featured game on Sunday Night Baseball. Announcers Joe Morgan and John Miller discussed the 10,000 loss mark and what it means if anything. They even brought ex-Phillie John Kruk into the discussion and they all agreed that Phillies fans like players that give it a full effort. I agree with that, but it goes further than that. A lot of great players have been booed by fans, maybe it’s just a way for the fan to take out their own frustrations with the team, I am not sure. Morgan said that the Philly fans like a great effort from their players and he tried to give that to them despite it being late in his career. The ESPN coverage started out right from the opening of the broadcast though, they put up numbers of losing seasons, and number of times the team finished in last place, and so on. That coverage was unfair, it really looked like some sort of smear campaign for a minute or two. That’s the difference between having fun with a number like this and making a team look like a bunch of losers. 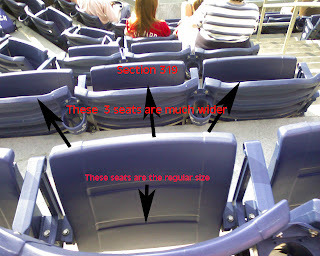 We left after the seventh inning stretch, I started thinking about how many Phillies games I’ve been to. I remembered Mike Schmidt’s winning walk off homers, Greg Luzinski’s blasts into the seats in Veteran’s Stadium, Steve Carlton’s magnificent strikeouts and other memories that I have. So thanks for the 1,000,000 memories that I have, I never even noticed the team had 10,000 losses and now that the record has been passed I am glad that it will never come up again probably. Thanks for the memories Philadelphia Phillies, me and my Mrs. are still Phillies fans! The Phils go into the All Star break in two days. They are playing Colorado tonight. 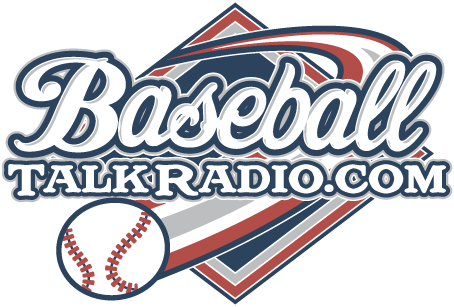 Today's show is about the all star game and can the Phillies make it further into the season? Also, the Home Run Derby 2007, anyone want to bat? All this and more on the 07-07-07 show! Only one game over .500 is not where I wanted to be going into the All Star break. The Phillies can win a couple over the next few days and impress me with a better record. All is not lost though, it could be worse. We could like the Cincinnati Reds or the Houston Astros. The Phils are now in Mile High Country. The land of Coors Beer and former home of Mork and Mindy. The need to come through out here. I don't mean a sweep of the Rockies but I want 2 out of three from them! The Rockies are a game under .500 and I suspect they may have had some similar problems that the Phillies faced over the last 2 months. The Phillies that are going to the All Star Game only have a short trip to get to San Francisco, so good luck to them as they make their way to the midsummer classic. 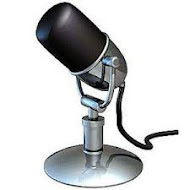 I hope to do a couple of podcasts this weekend for this blog, so stay tuned! We were at the game yesterday at Citizen's Bank Park and all I could think about was the Phils possibly being swept at home. The Mets fans were thick around the park, many making the trip to see their own favorite team play on this beautiful afternoon. It was great to see how many fans the Mets actually draw to see them play in Philly. The Met fans couldn't wait to get to the cheesesteaks and crab fries out in Ashburn Alley. The game started and Kyle Kendrick looked a little shaky at first but he settled down to pitch a great game. Good enough to keep the Phils into the game. That is all you can ask for from a pitcher, especially a rookie just up from the minors. The Phils pulled away and Kyle picked up his third win for the Phillies, Aaron Rowand noted that he had some 'poise' on the mound like Cole Hamels did when he came up. The Phils have fallen back in the standings a few games, but that's ok for now. I'd love to see them get a marquee name before the trading deadline like a Dontrelle Willis perhaps. He may be the missing piece of the puzzle. I hope the Phillies get on a win streak again starting tonight, because they will fall out of contention if they don't watch themselves. 3. It's only 315 feet to the homerun mark in left field, but the wall out there is 19 feet high! 5. Union Station is a train station that is integrated right into the ballpark, over 60 percent of the fans arrive via Union Station in fact. The entrance way from the train station features old style decor from the early 1900's. The Atlanta Braves were home in the friendly confines of their own Turner Field and the Phillies came into town and swept the Bravo's in 3 straight games over the Memorial Day weekend! Now the Phils head home for a short homestand against the Arizona Diamondbacks and then they welcome Barry Bonds and the San Francisco Giants into Citizen's Bank Park for a 4 game set that starts on Friday June 1st and runs through the 4th of June. This sweep of the Braves returns the favor to the Braves who had swept the Phillies for their first three games to open the season back in April. The Phils started the season 0-3 thanks to the Braves who looked unbeatable for a couple weeks. This win on Sunday afternoon came courtesy of Cole Hamels who earned his 7th win of the season and a couple of homeruns by Ryan Howard who just rejoined the team on Friday night. Even better that the win is the fact that the Phils are now 2 games over .500 and look to be on a steady path coming into Memorial Day at home on Monday night. I'll be up at the stadium to see Freddie Garcia hopefully pick up his second win of the season as he has been slow to start off for his new team so far this year. Garcia was originally looking like he may be the ace of the staff back in March when Spring Training was being played down in Florida, but that hasn't been the case yet as Hamels has led the team in pitching so far up to this point of the season. The Diamondbacks are doing well themselves, going 7-3 in their last 10 games. The star of their team seems to be the second baseman, Orlando Hudson, and the left fielder, Eric Byrnes who are both anything but household names in baseball but they are getting the job done for Arizona. The Dbacks have been feasting on the Astros all weekend taking the first two games and as of the time I am writing this are in the lead for a sweep of the 'Stros in the 7th inning on Sunday. Welcome home Phils! If we keep on like this, then we have our sights on second place by the time this homestand is over! Atlanta is suddenly in reverse after staying hot for 6 weeks or so and they face two red hot teams in the Milwaukee Brewers and the Chicago Cubs in their next two series of games. The Brewers are leading the National League Central and the Cubs are 4.5 games off of the Brewers lead in the division. This time of the season could define the whole Phillies season. They play inspired ball for a couple games, and they get you feeling good about them, then they slip back into a cocoon of errors and losing. We are 45 games into the season now, and the Phillies are teetering back and forth on a see saw of wins and losses. They win big one day, then drop one, win one and drop one. 7-3 in thier last homestand but now they are on a short road trip and 7-4 in their last 11 games doesn't sound as good. The Phillies need an acquisition, a big name to come into the bullpen at this time! The bullpen is the area that most fans and experts on baseball will agree that the team needs the most help. Without any moves like this, the Phils appear to be destined to be a .500 ballclub throughout the year. 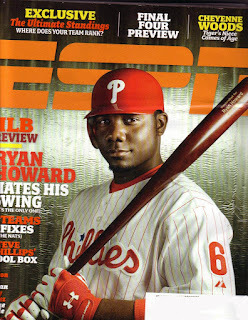 Ryan Howard will be back soon, and hopefully he'll be back on track. He needs to get back into a groove and start hitting. Pat Gillick must get on the phones and make something happen for this team, bring us a reliable bullpen pitcher Pat! p.s. I got to 'high 5' the Philly Phanatic last Sunday at the ballpark! The Mrs. and I were walking the concourse behind homeplate, when out of the blue a large furry green creature ran up to us and slapped our hands as he ran past us. The homestand stretching back 10 games has been very, very good for the Phils. They didn't sweep anyone, but took all three series at home during the past 10 games with the Cubs, Brewers, and the Jays. The team has fought it's way up to .500 baseball with a day off on Monday, then onto the short road trip to Florida and then Atlanta. The team seems to have jelled a bit better of the last 10 games, and Ryan Howard has been out for all of the games. Pat Burrell has been coming through for the Phils along with Aaron Rowand who has been getting on base better than most and is in the NL's top 10 leaders for batting average. Starting pitching is starting to carry the game, and when it comes to relief, the team is still in great need of some better consistency. Cole Hamels is 6-1 and is on fire, he'll get the start for game one in Florida. Jamie Moyers and Adam Eaton are 4-3 and John Lieber is 2-2. Freddie Garcia is a most disappointing 1-3, he should turn it around soon or the boo birds at Citizen's Bank will be on him soon! Geoff Geary got shelled against Toronto, three homeruns in a matter of a few minutes. That team is scary! On paper the Jays look very intimidating, they have a lot of power on that team. When they get their pitching together they will be contenders. The Phillies have the ALS Charity event at Citizen's Bank Park on Monday. It will be nice for the fans to get some autographs and have some fun and donate some money to charity all at the same time. for some interesting thoughts on the team by Mike Berquist.